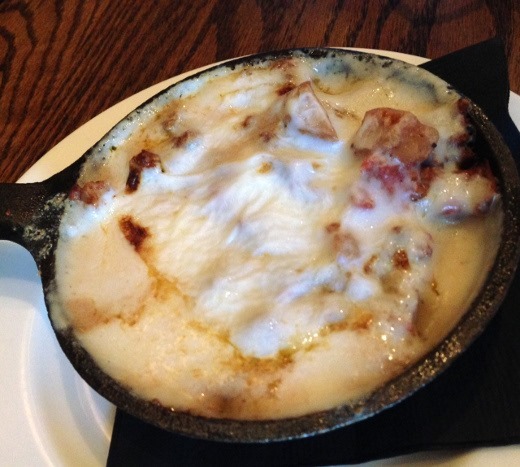 Mainstreet Ventures has a new eatery in town. 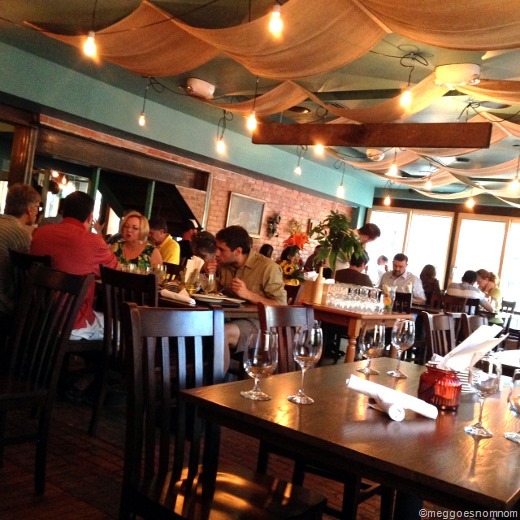 Mezzevino offers Mediterranean cuisine on the corner of Fourth and Liberty Streets in downtown Ann Arbor. A peek inside reveals colors and textures reminiscent of the Mediterranean coast. Happy Hour specials are offered, but only at the bar. That is a pet peeve of mine! 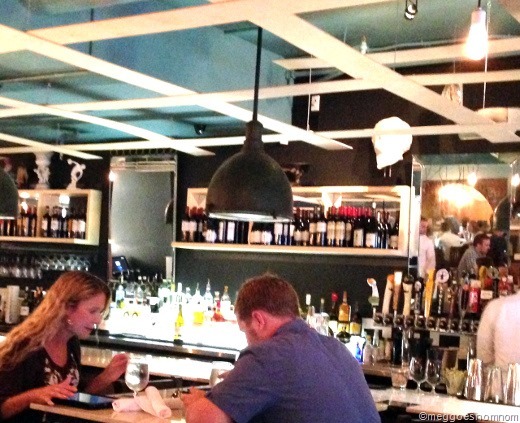 Why can’t the deals extend restaurant-wide, if they are bringing in business? The huz and I visited Mezzevino for dinner after tasting a couple sparkling wines at the new and nearby VinBar downtown. 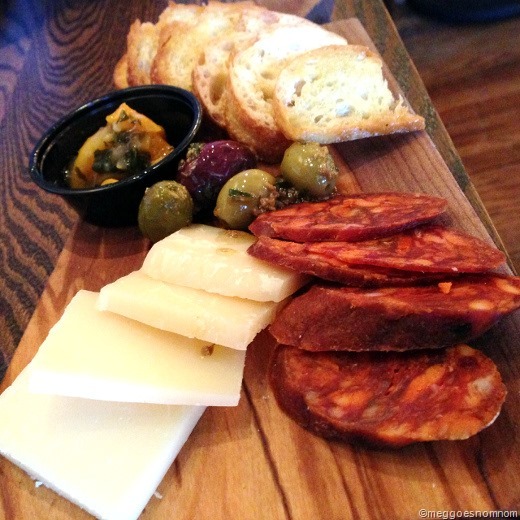 If I could only eat one thing for the rest of my life, I think it would be cheese and charcuterie platters. 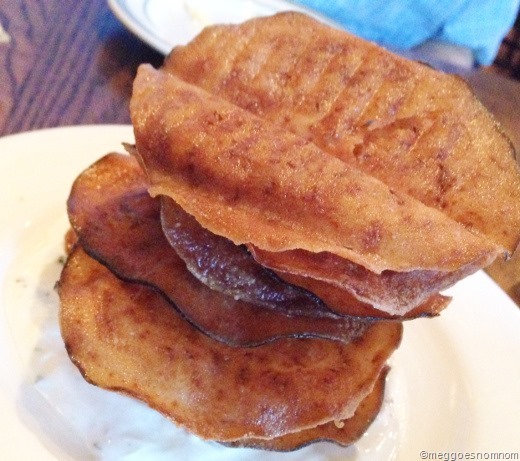 Eggplant Chips – Delicious, maybe a little oilier than I’d prefer, though not very substantial. The cumin-spiced yogurt accompaniment was absolutely delicious and addicting. I really wanted to lick the plate. 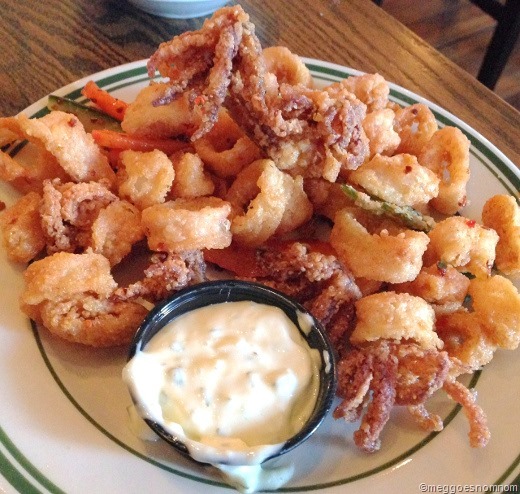 Fried Calamari – Not my first choice (‘cuz I mean, calamari? Snooze…) but recommended by the server and requested by the huz, so I agreed to go along with it, remembering that other Mainstreet Ventures eateries do their calamari well (like Chop House and Gratzi). It was very tasty, yet pretty standard. The pickled veggies mixed throughout the dish did offer a bit of a unique twist. Moussaka – “Braised lamb, savory tomato, eggplant, bechamel.” This was pretty good, but didn’t do a whole lot for me. 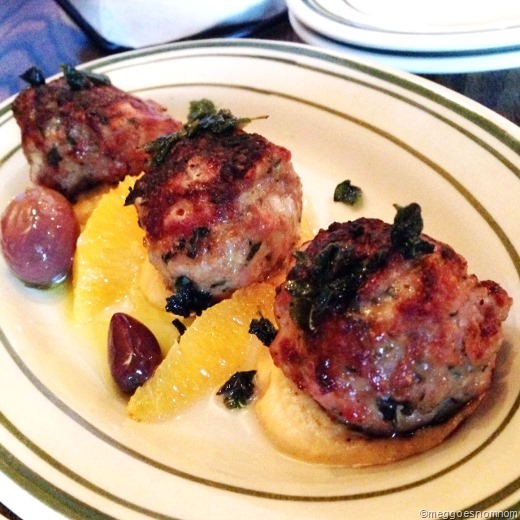 Mezze Meatballs – These veal and pork meatballs were very good, and I especially enjoyed the romesco sauce upon which they were served. I’m a sucker for meatballs. I can’t pass them up when I see them on a menu, and I’d get them again if I returned. The ambiance was nice, but honestly not quite what I was expecting. We were seated far from any other diners initially, way back in the rear corner, right up against a wall at a small table for two. Throughout the meal our table became increasingly crowded and it was slightly annoying trying to make room for our dishes as they accumulated. 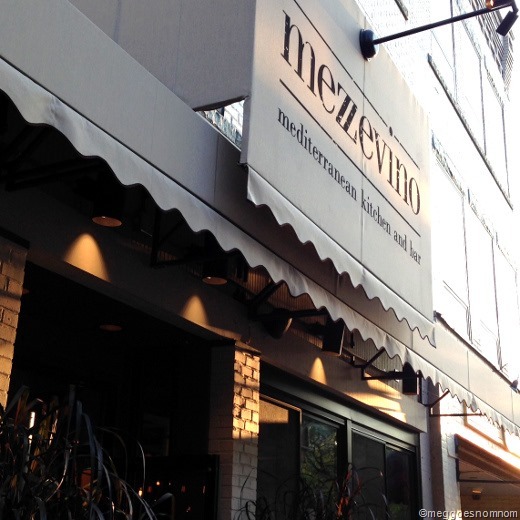 Mezzevino should consider increasing their table size for the comfort of their diners, given that they are a small plates restaurant. Halfway through our meal, a large party with several small, loud children was seated next to us, which somewhat hindered the romantic ambiance we’d been seeking. This wasn’t really the fault of the restaurant, though I guess if they knew that had a large party coming in, they could have seated the couple on a date (us) a bit further away, given the broad availability of seating. Who knows. Like I said, I suppose I can’t really blame Mezzevino too much for this. Service was fine. My only concern was that it seemed a bit inexperienced. For the price we paid I expected just a bit more in this category. Our server was upbeat, very friendly, and generally attentive enough, but maybe just not quite as professional as I would expect at a fine dining establishment. For instance, sharing some knowledge about wines that would pair well with my meal, or explaining a bit more about dishes we were interested in would have been impressive. Actually, one of the reasons I was initially drawn to Mezzevino was because I’d read that they offered an innovative approach to drinking wine, in that you could order a bottle and only pay for the portion you drink. However, we were not told anything about this when we visited, nor could I find mention of this anywhere on the menu (which was a fun electronic tablet, by the way). Maybe I should have just asked! But, I’d prefer a down-to-earth server over a pretentious one any day, so I suppose I have no complaints. 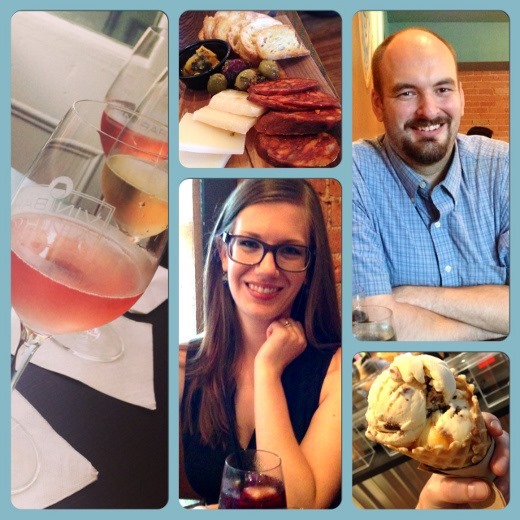 All in all, the huz and I enjoyed our meal and had a nice evening out on the town! All the dishes we tried we enjoyed, and we would like to dine here again. We’ve been there a couple times and enjoyed the food. Some really interesting flavors and presentations. We liked it much much more than their other restos. I agree tho that the servers weren’t that polished. As for wine, there are little white marks on the bottle and they use that to determine how many glasses u had. Generous portion sizes. One head-scratcher for me is that they totally scrapped all the decor from Kuroshio. A2 needs more sleek places and the new decor looks really cheap and kitschy.